Researchers of Center for Excellence in Superconducting Electronics attend the International workshop on superconducting sensors and detectors. The 4th International Workshop on Superconducting Sensors and Detectors (IWSSD) was held in Sydney, Australia, from July 24 to 27, 2018. IWSSD is the most professional and comprehensive international conference in the field of superconducting sensors and detectors, held every two years. Topics of the conference include: Superconducting Quantum Interferometer (SQUID), Superconducting Photon Detector, Superconducting Circuit, Superconducting Materials and Technologies, and Superconducting Quantum Information. 10 members of Center for Excellence in Superconducting Electronics(CENSE), including Prof.Wang Zhen and Prof. You Lixing, attended the international conference. 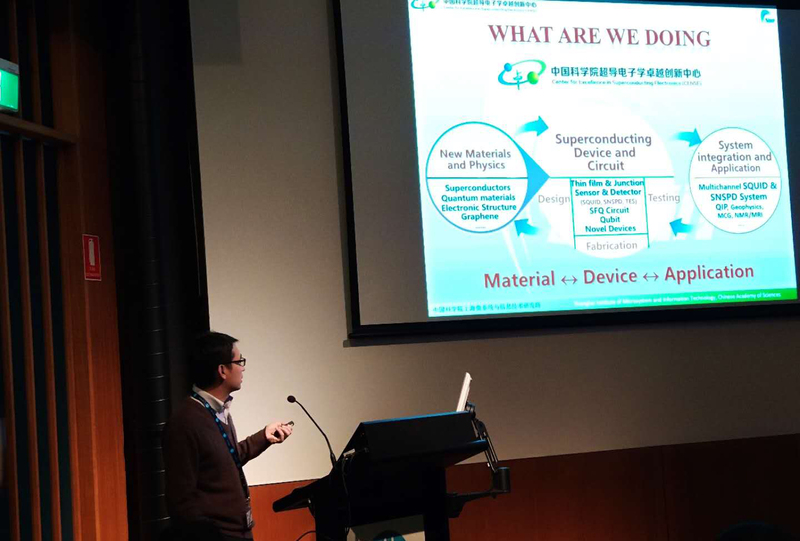 At this workshop, our research fellow You Lixing made an invitation report entitled "Progress on CENSE, CAS" and Li Hao made an oral report entitled "Improving system detection efficiency of SNSPD using multilayer antireflection coating". The CENSE also published nine academic posters to introduce and exchange the latest research results in the field of superconducting electronics.